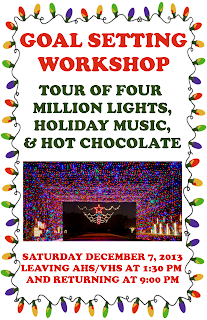 Join us on Dec. 7th for a fun and informative workshop at AHS & VHS. 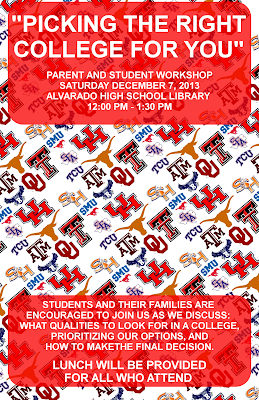 Both workshops will start at noon - lunch will be provided. 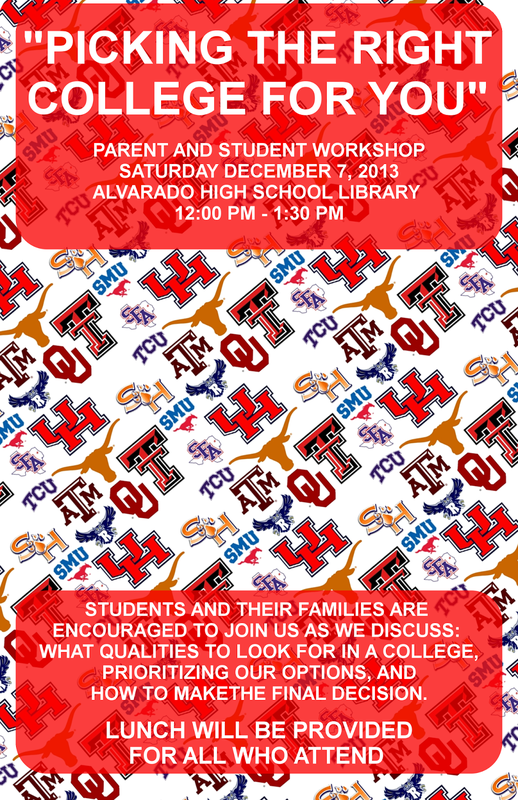 UBMS will meetin the AHS library and UB will meet in the VHS Science Lab. 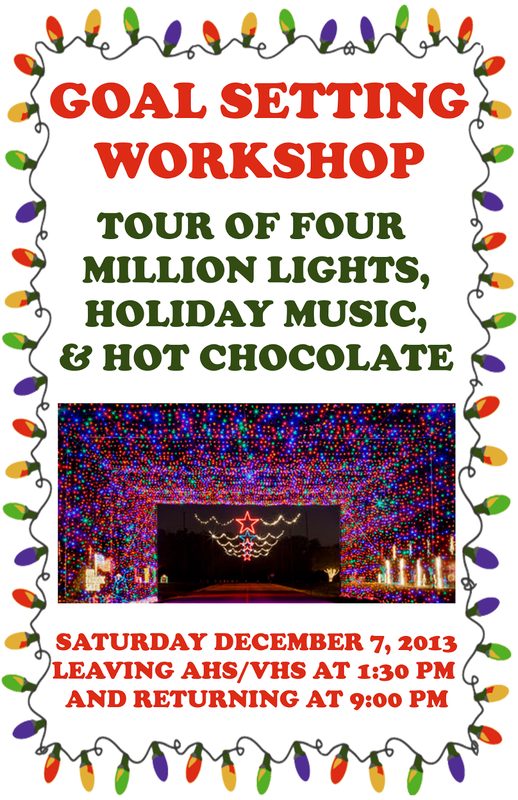 After the parent/student workshop, students are invited to attend a special goal setting workshop, followed by a holiday light show. Don't miss it!